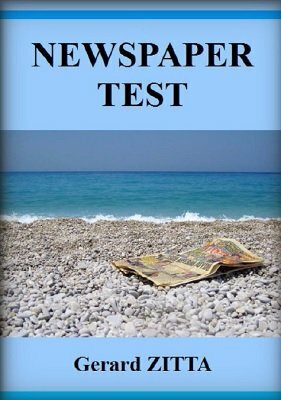 An improvised book-test with a borrowed newspaper. There are dozens of newspaper tests or predictions, but this one is different, improvised, and will be remembered as hands-off. There are no newspaper tears or cuts, no center tear, no peek, no counting, no secret writing, no sleights, no weird procedure, no complex maths or logic or convoluted stuff, etc. All you need is a normal borrowed newspaper. No gimmicks, no other props, cards, swami, pens, etc. Nothing else, except ...you... and the secret. You can really focus on your patter and presentation skills. It is NOT a prediction, but a divination, not only of a word, but of an entire page (its general appearance, main titles, photos, even some details, etc. The method seems to be original. A spectator selects any page from any newspaper (It can be their own one), and selects another page. Even though you look away when this is done, and even though you will not touch the newspaper after his choice, you immediately start describing this page. [This classic effect is based on one of the principles explained in Newspaper'Z e-book, and made practical and direct].